Final instructions for 2-Person Relay teams and 4-Person Relay teams are now posted. Click here to view the instructions today! Post-Race Celebration Information for World’s Fair Park! 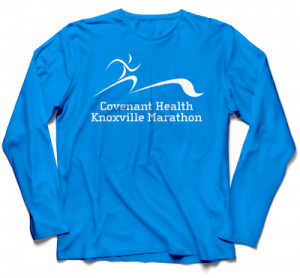 As you know, all events of the 2019 Covenant Health Knoxville Marathon weekend will finish at World’s Fair Park. Here are the details to what was have lined up for you! Posted in UncategorizedLeave a Comment on Post-Race Celebration Information for World’s Fair Park! Join us Saturday, February 23, at 8 am at Tennessee Sports Medicine Group (2260 Sutherland Avenue) for our next group run. Suggested route for marathoners is 16 miles; suggested for half marathoners is 8 miles. Posted in UncategorizedLeave a Comment on Rob Jones to Speak at Health and Fitness Expo!